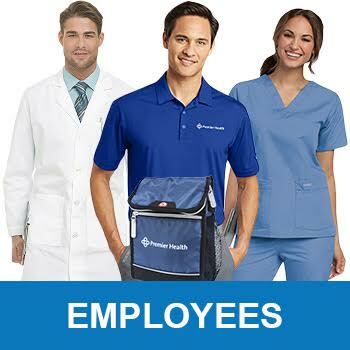 Welcome to the Premier Health Store • Click on a link below to start shopping! Click the link above to access the latest in Premier Proud items, apparel and uniforms. You must log in with your employee number to utilize payroll deduction. 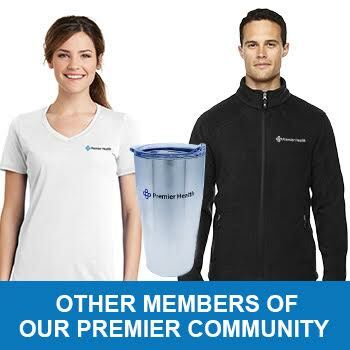 Board Members, Contracted Physicians, Volunteers and other members of the Premier Health Family; Click the link above to purchase apparel, drinkware, journals and other items with the Premier Health logo.